Find out how the solar panel Feed in Tariff can help you save money. 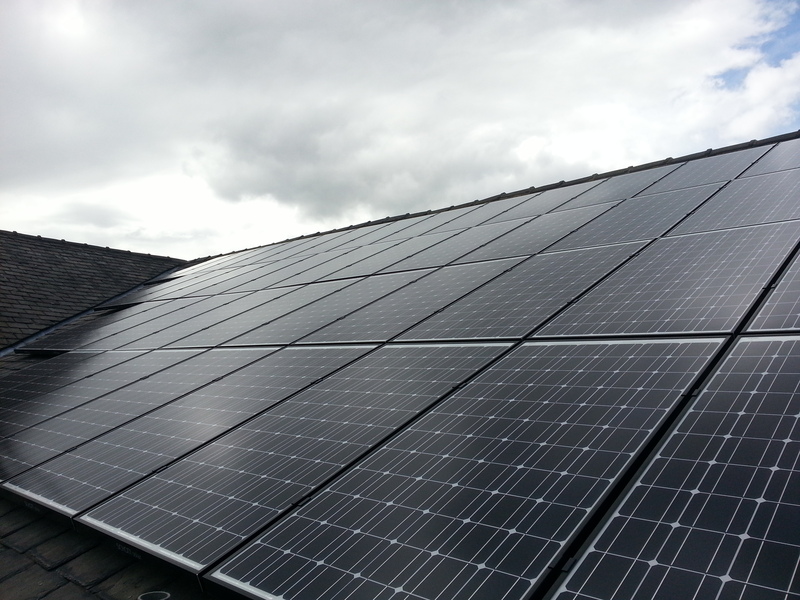 The Feed in Tariff scheme (FITs) is an environmental programme introduced by the government. The scheme promotes the use of low-carbon electricity generation and small-scale renewable technologies. The size of your solar panel system. (The maximum size is 5mW). When your system was installed. The system must be installed by a qualified MCS ( The Microgeneration Certificate Scheme) registered installer. Coretech Solar, trading as Coretech Electrical Services, is a registered installer. See MCS information on us here. Free electricity from the energy produced by your solar installation. The UK average cost to buy electricity is 12.6 p/kWh. An export tariff from your energy supplier. The export tariff is ‘deemed’ at 50% under 30kWp. It is fixed for all installations and currently stands at 4.85p per kWh. This means that your property’s heat requirement is estimated. Instead of metering the amount of heat produced by a domestic renewable heat installation, the hot water and space heating needs are estimated using BREDEM (the Building Research Establishment Domestic Energy Model). You can read more about this at YouGen. Mr and Mrs Smith generate 1000kWh at their property. It is worth noting that you will still receive your deemed export allowance even if you use 100% of your generated electricity. Contact us today to find the best solutions to maximise on your investment. Once regstered with the MCS your payments will continue for 20 years. Annual adjustments for inflation, based on the Retail Prices Index, apply to these payments. Coretech Solar can explain all of the solar panel Feed In Tariff information to you on your first enquiry about solar panel installation. Once you install a solar panel system from Coretech we will help you set up the FITs to meet all requirements. Alternatively click here to find out your return on investment once you have installed Coretech Solar panels. To view further information on the FITs please click on the links below to be re-directed to the ofgem and Energy Saving Trust websites. Energy Saving Trust Factsheet on FITs.